Jerry has been a full time team member since 2016, returning to our staff having worked with us prior. He is one of our opticians following in the same career footsteps as his mother. 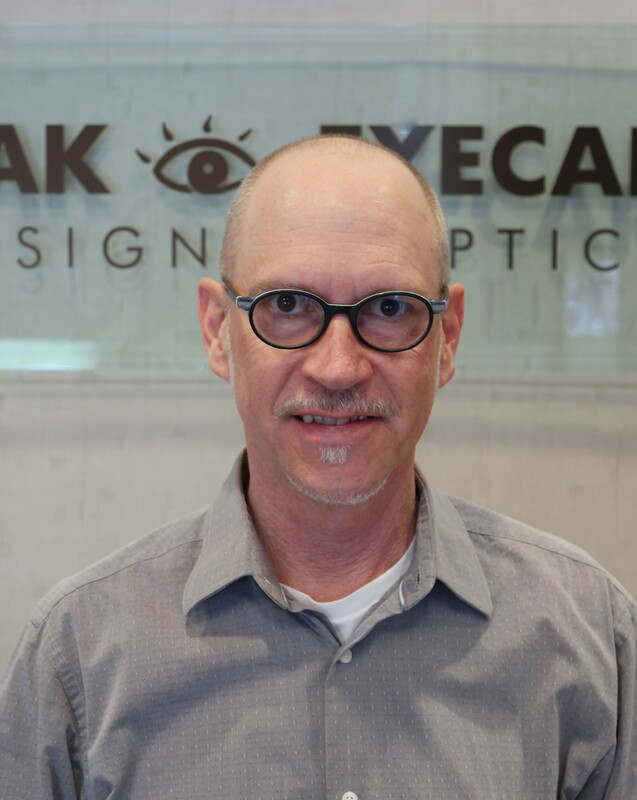 His varied background on the east and west coasts in the music, furniture, and fashion industries has contributed to his desire to give patients the “perfect” pair of eyeglasses. In his free time, he enjoys cycling, playing the guitar, collecting mid-century modern furniture, and spending time with his 3 cats and girlfriend in their historic northeast Kansas City home.